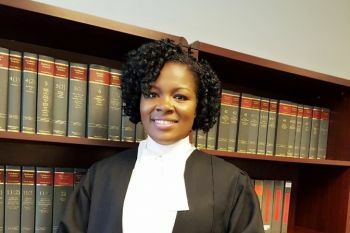 An ambitious Virgin Islander—hailing from Greenland, Tortola—Ms Walters ultimately intends to serve as the Territory’s homegrown Director of Public Prosecutions (DPP) and ultimately a Judge in the Appeal Court. Currently a Litigation Trainee with the Maples Group, the married, 30-year-old mother of one, presently ‘Shadows’ the senior lawyers and partners in the litigation department. According to Ms Walters, this allows for researching legislation and debating issues with colleagues to reach solutions to support our clients. 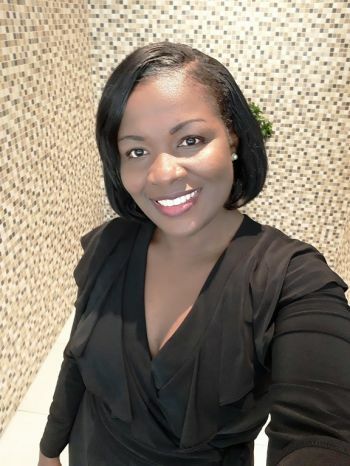 She previously worked as a Paralegal at another offshore law firm, having completed undergraduate studies in Law in 2014. 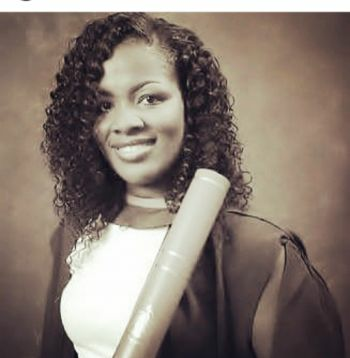 She first attended the Francis Lettsome Primary School where she graduated in 2000 with her Grade 1 Certificate. It was then on to the BVI High School where she graduated in 2005 with High Honours and a Grade 1 Certificate. Tertiary Education for Ms Walters began with the University of the West Indies (UWI) Open Campus in conjunction with H. Lavity Stout Community College (HLSCC) where she pursued studies in Associates of Science in Paralegal Studies and graduated with First Class Honours in 2007. Our Young Professional also obtained her Bachelor of Laws training and certification in Barbados where she graduated with First Class Honours and in Trinidad and Tobago, where she obtained her Legal Education Certificate. You go girl ! !I'm so proud of you and all that you have accomplish thus far and can't wait to see you continue to bloom into the beautiful flower that you are. You have endured so much from a child until now. Look at God boo !! Always remember God in everything that you do. He has brought you this far and he won't leave you now. I love you baby girl. Such an inspiration !!! Congratulations Andrea!!! Keep Reaching for the Stars!!! I can't wait to see your future! You have achieved much thus far and I know you are aiming for the stars! You got this! YOU ROCK! Extremely proud of Andi! Intelligent and compassionate individual. She will be a excellent attorney and will make all of us in the East and wider Virgin Islands proud. Continue to do you thing girl. You rock! Congratulations Sister. Always continue to do your very best. Be Brave.